There are three battles that cemented the legacy of Captain Morgan in Panama. A. Portobelo - This Spanish city was thought to be impenetrable but in 1668, Morgan pulled off the imposible and took the city from the sea. B. Fort San Lorenzo - This stronghold protected the mouth of the Chagres river, aka the original Panama Canal. 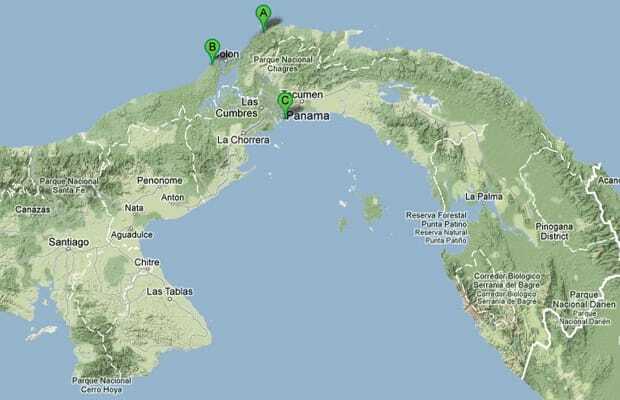 This was the only route to Panama City that didn't involve sailing around South America to the Pacific Ocean. Morgan attacked it in December 1670, which set up his final push to take Panama City. C. Panama City - After sacking Fort San Lorenzo, Morgan headed south on the Chagres, then parked his boats and marched by land to Panama City. By February 1971, Panama City was conquered and burned to the ground. It's unclear whether the city was destroyed by the Spanish to spoil Morgan's victory, or by Morgan because he was just a real bad guy.